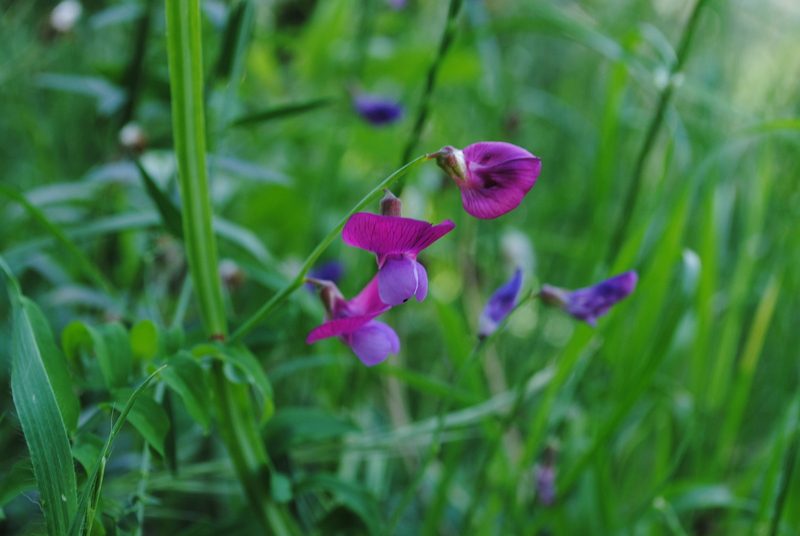 Crimson peas (Lathyrus clymenum L./Lathyrus articulatus L.
I have always had a soft spot for the winged flowers of the legume family, so I was delighted to discover that the tiny specks of pink dotting the olive grove were wild crimson peas (also known as Spanish vetchling). These small bicoloured flowers are fingernail sized and turn from vibrant pink and soft mauve to deep indigo as they fade. They grow in a rather ramshackle way, stretching along the ground, or climbing tall with their tendrils coiled tightly around surrounding flowers and grasses. These peas were cultivated by the ancient Greeks and are still grown and eaten in the Aegean Islands, but in many places, including Italy, they were mainly consumed in times of hardship when food was scarce. 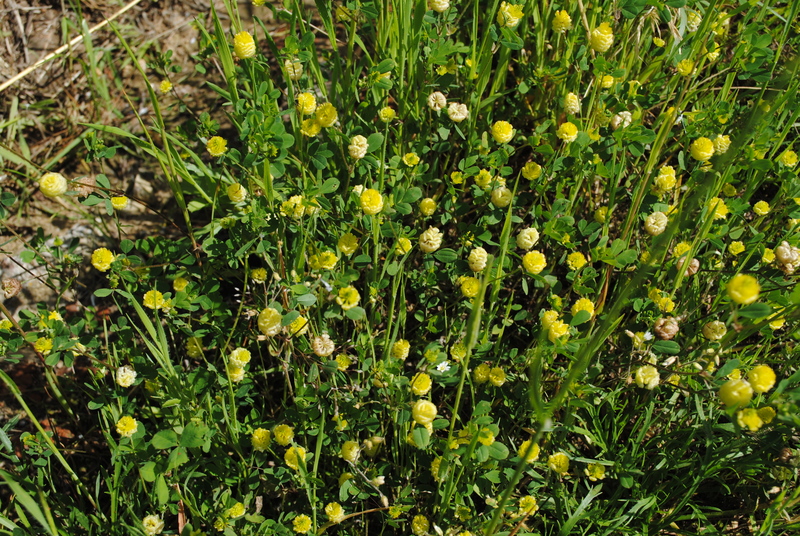 As with many wild peas, they should be approached with caution, as excessive consumption can lead to the neurological disease lathyrism, which attacks the central nervous system and causes paralysis. 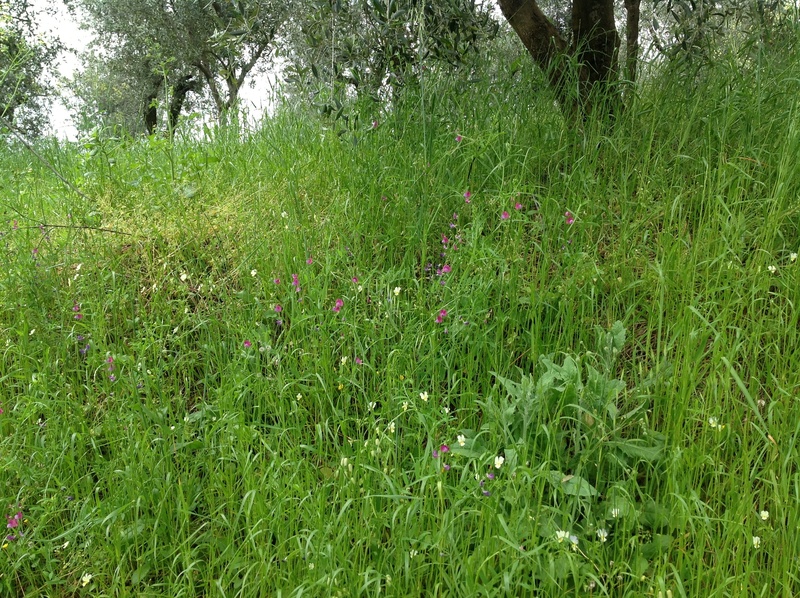 These peas, along with clover and medic, which also grow freely here, have an important function in the olive grove. These plants are all part of the legume (Fabaceae) family, which is renound for its nitrogen fixing properties. The plants have a symbiotic relationship with nitrogen-fixing bacteria in their root nodules, and when the plants die they release nitrogen into the soil, acting as natural fertilizers for the olive trees. In fact, legumes are often deliberately planted by organic farmers as a cover crop in olive groves in order to improve soil fertility and prevent erosion. Luckily we already have plenty! Thanks for visiting again. I’ll look up that article, sounds interesting. Yes, I love how nature provides it’s own solutions. Plus they are such beautiful plants in themselves. Ciao! Natural beauty, natural goodness … naturally the best for your noble olive trees! Yes, the natural way is best! 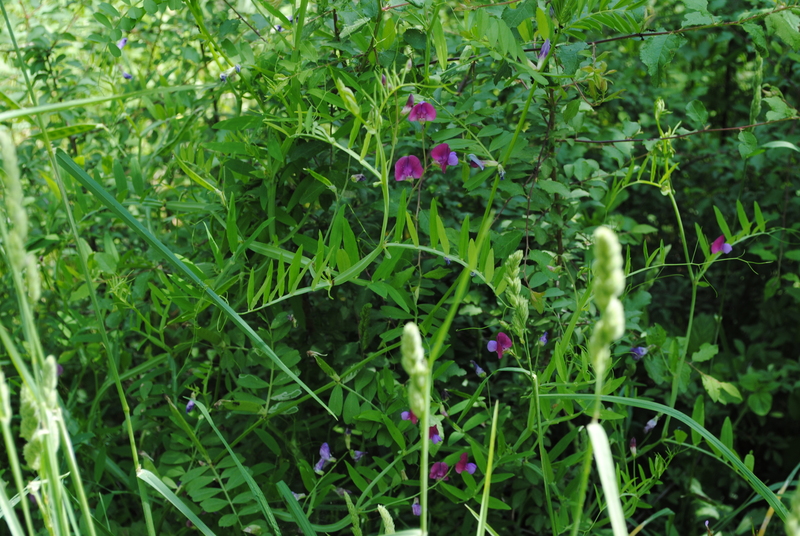 Here we have several legumious wildflowers that will fix nitrogen – false indigo, purple prairie clover, etc. I wonder if any would grow well in Italy. I can tell you they both want full sun, and are drought-tolerant once established. False indigo is spectacular and is grown as a garden flower in Britain, so I’m sure it would do well here, where the climate is probably closer to its natural habitat. I’d love to see a mass of it in the wild. We also have lots of broom and gorse in Tuscany (though not in our grove). Not sure we can take much credit, the trees and flowers manage pretty well without us, but I’m glad you enjoyed reading about them. They’re so beautiful I can’t help but want to share them! So interesting! I was born with a black thumb so I have profound admiration for anyone who doesn’t automatically kill their plants. BTW, thanks for the follow on my Sicily blog! Thanks for the follow. I enjoyed reading about Sicily, it is somewhere I’ve always wanted to visit. Thanks for the encouragement! I look forward to reading your blog, I am a tree-lover but I don’t much about them beyond olive trees (and we’re still learning about those).